Practically all resources are limited and life is essentially about load-balancing and ensuring that those resources are used in the most optimal way. After all, this is why I initially sought to be financially independent. Lifting the restriction that one has to work for money makes for more efficient living. Now, ERE has reached a point where I’m getting overwhelmed by requests for my time or, more accurately, my energy. I simply can not respond to everything to the degree I’d ideally like. I recognize that everybody who writes me have thought quite a bit about the email they’re sending. Unfortunately, there are many of you and only one of me, so I have to institute some triage, otherwise I’d be spending all my energy answering emails and comments. For some idiosyncratic reason is interesting to my personal situation. E.g. if you happen to ask about something that currently interests me, I’ll probably answer in detail. That’s because I’ve already thought about the subject, so answering is easy for me. Only I can answer and which somehow is important. For example, asking how many posts I’ve written on the blog is something likely only I can answer—and it may be important to you for whatever reason. Asking me what my portfolio is is also something only I can answer but it’s not important to you to know what _I_ hold. You might as well ask some other random FI/ERE person the same question. And without further ado, here are the emails that will be triaged and result either a very short answer or no answer. Research questions: “Where do I … “, “How do I …”, “Can you recommend…”, “What is…”, “What brands…”. These are the most common questions. Most likely I don’t know and while I could find out, the act of finding out would take all day when you put all the requests together. I would be researching bicycle parts, running shoes, gloves, the housing market in Kentucky, coffee grinders, etc. Please ask in the forums instead. The probability that someone there already knows is much larger. Also, in that case the questions are load-distributed. I’ll answer the occasional one there, but not all of them. “My situation is …*very complicated*. What do you think?” I think that I still have far too little information to answer that. Maybe I can answer some of it but these mails are often so overwhelming that I just postpone them…forever. I suggest using the forums for this. You’ll get 10-20-50 different takes on your situation which should provide more helpful than anything I can say. “What’s your opinion on X?” I probably don’t have one. “What are your thoughts on Y?” Very likely nonexistent. In particular, you have probably thought of this in much more detail than I have. I know that the traditional solution to this kind of problem is either to arbitrarily delete one’s inbox every blue moon, respond with a form letter “Thank you for contacting me. Unfortunately all our lines are busy. Please hold. Your call is very important to us”“Jacob is trying to enhance his productivity and therefore only answers his email between 2am and 3am on even calendar days but here’s a clutter email for YOUR inbox explaining this amazing system”, or hire a virtual assistant. 9 users responded in " Email problems and how to contact me — a short primer "
@Erin – Thanks, I guess. The problem is that I’ve gone from research and development, which I like, to marketing and “tech support”, which I don’t like. The Peter Principle in action. Maybe you could charge for your personalized help for certain classes of questions. $50-$100/hr would weed out the people that value your time and your response. “After all, this is why I initially sought to be financially independent. Lifting the restriction that one has to work for money makes for more efficient living. The irony. Life always seems to find a way to pull you back in. Jacob, could you explain briefly the theory of relativity? Oh, man! Why don´t you answer me!!! Congrats for your popularity. Means your ideas have impact on many people. A very similar predicament here as well! Good luck with it all. Whichever way life chooses to swing in the future, I am happy for you! 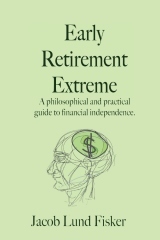 I guess my question is, what’s the next step for Early Retirement Extreme? Work on a new book? Connect with bloggers who focus on the same issues? Freelance work? Or all of the above? I’m really excited to see where this site goes and to be honest with you I agree with you. You have written exhaustively on this subject. The reason that this site is so special is that you provided so much value and didn’t ask for much in return. As to the site getting more popular than you would have thought I think its amazing. You have a lot of great stuff on the website!